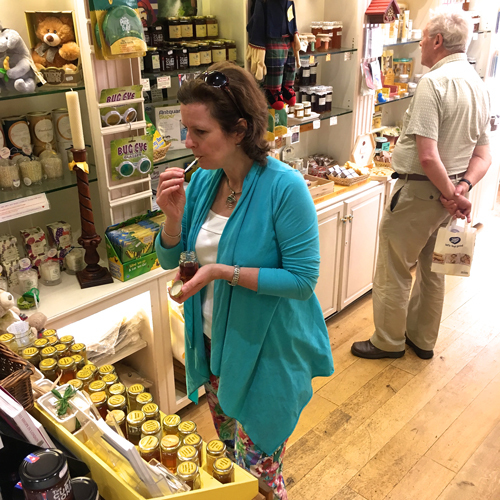 > Free Honey Taster table- try before you buy! Really made us laugh. Such a joy to chat with you all! Also the shop observation hive produced three queen cells. So we took it out back into the garden and removed them. If we left the queen cells then the bees would try and swarm and take our current queen with them. She is marked with a blue dot, last years queen colour and has produced lovely gentle hard working bess, so we what her to stick around a little bit longer please!